We specialise in translating experience into meaningful learning. We improve workplace performance through training, development, facilitation and coaching. Experiential learning "occurs as a direct participation in the events of life" (Houle), that is, learning that is achieved through reflection upon everyday experience. 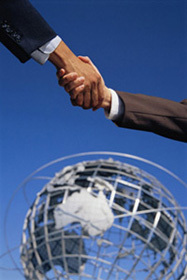 At Experiential Training & Coaching Ltd (ETC) we are both hi-touch and hi-tech. This means we provide both face-to-face and virtual services. ETC services are delivered face-to-face for training, facilitation and coaching, and virtually (by telephone and email) for coaching, profiling and reinforcement of implementation plans. Our success comes from our commitment to both performance and learning. ETC has a 23 year record of guiding clients to achieve tangible results. The office of Experiential Training & Coaching Ltd is situated in Mt Wellington, Auckland, New Zealand and we operate services in New Zealand, Australia, Europe, the United States and countries on the Pacific Rim. "Experiential learning gives the test first, the lesson afterwards"